Muddy Colors: Coolest Trophy Ever? Patrick Wilshire just revealed the new Illie Award Trophy. This is an award given to the best traditionally created work of the year, presented at IlluXcon. 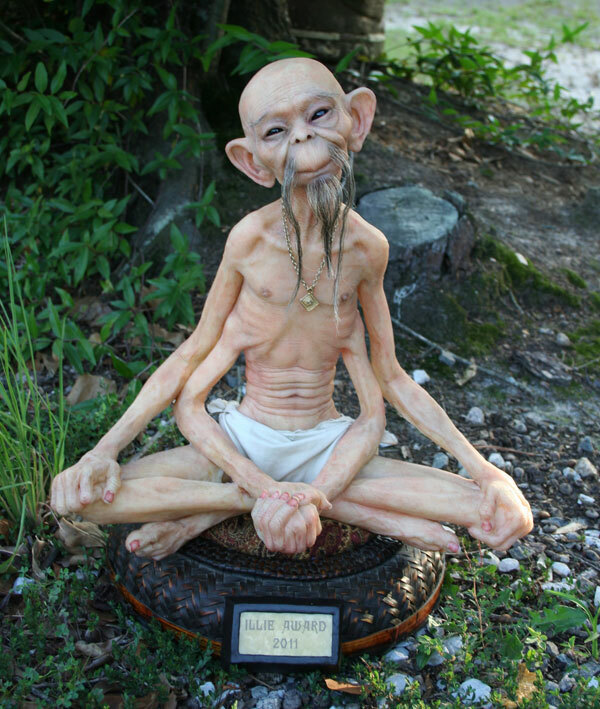 This is the second year the Wilshires will be presenting this award, and they really went all out by commissioning Thomas Kuebler to sculpt it. The sculpture stands 17 inches tall, and is a one of kind original. If you've never seen Thomas' work in real life, you are truly missing out! Knowing Thomas, I'm willing to bet this little guy has hand-punched hairs inside of his nose and ears.